Alas, it’s the end of another year for Taipei Fringe Festival – the festival that’s larger-than-life, and anything goes. What’s Fringe, you ask? Well, it’s only the most democratic, experimental and alternative arts festival there is; unlike conventional arts festivals, there’s no selection criteria nor jury panel. The concept derives from the Edinburgh Festival Fringe, founded in 1947 after a ragtag collective of theatre groups gate-crashed the Edinburgh International. Now the biggest arts festival in the world, with more than 3,000 shows in 2014, the concept has taken off all across the globe – including in our very own capital. What’s cool about the spirit of the Taipei Fringe is that it not only showcases the artists operating on the fringe, it shines the spotlight on every nook and cranny on the city’s fringe. 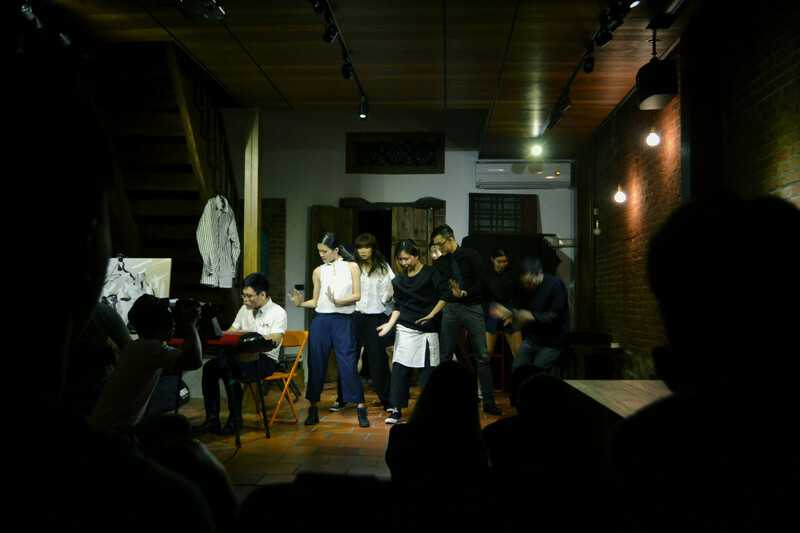 From theatre to dance to improv to music, from Dadaocheng to Treasure Hill Artist Village to Guling Street Avant Garde Theatre, we saw it all. City543 gets the low-down from the participating artists on the year that was at Fringe, and all the secret tricks of the crazy trade. Jasmine Lee is a contemporary dancer who has dabbled in every and any dance style – from ballet to swing to hip hop. Her 2015 Fringe entry showcased this eclectic mix of different dance and music genres. This was her first production, as part of the dance company she founded this year, PITA Production. Street dance, but the kind I want to do is not like Step Up!. I like street dance with a bit of soul. What I want to do is a pure, bodily reaction to music. I listen to the music a lot, just to hear its voice, and what it was telling my body to do. And only after hearing the music do I have the space to imagine what I’d like to do. Right now, how I dance, is how I feel about music. Dance gives me platform to be imaginative everywhere. It even happens at my nine to five office job. I’ll be waiting by the printer, and I’ll suddenly think, “Oh, this sound is kind of cool”. I love observing. And I’m also curious as to what people are up to secretly! Why is the Taipei Fringe Festival important for you? It’s the only one that has no selection criteria – if you want to participate, you can participate. You’re given lot of opportunities to promote and market your show, and there’s always a lot of sponsors in attendance. So, for most artists Fringe is a kind of springboard. In which hidden corner of Taipei was your Fringe production held this year? We got to put on a show in a heritage-listed building in Dadaocheng that’s never usually open to the public. The Dadaocheng and Dihua Street precinct is very cool, very vintage Taiwan; its my favorite place in Taipei. If you head to the old Yongle Fabric Market, that entire street now is just exhibition and performance halls. Taipei Arts Festival, hopefully. That’s the biggest one for dancers right now. It tends to be the next step from Fringe Festival, but getting there takes a bit of work. Arts Festival invites an abundance of amazing artists from all over the world, mixed with Taiwan’s very best too. 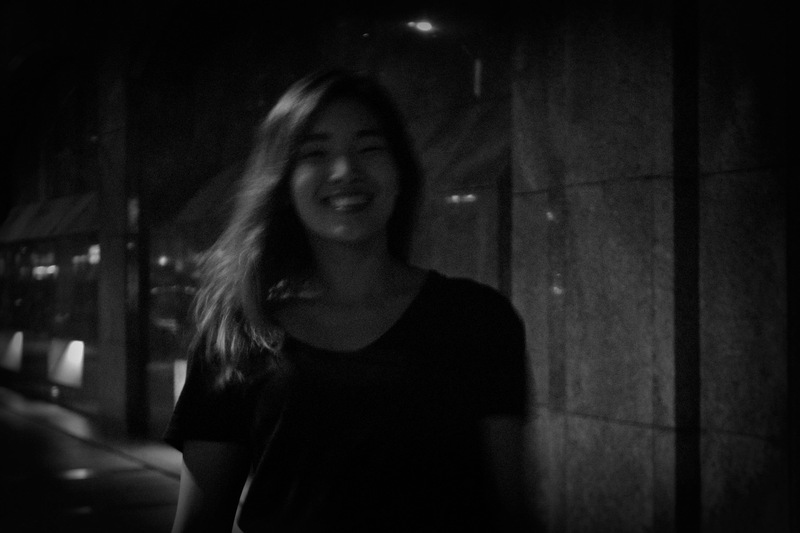 Belle Chen is a Taiwanese-Australian musician currently based in London. 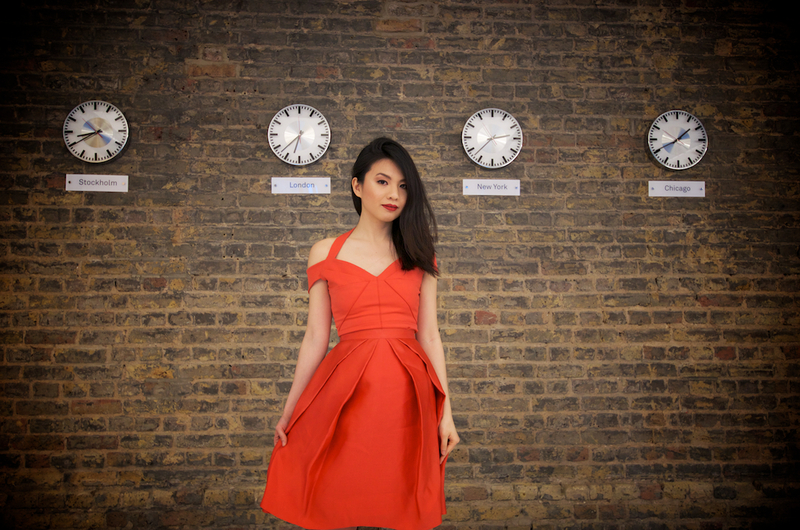 She was the 2015 Classical Music Rising Star Award winner at the London Music Awards. Her Fringe entry was a classical music collaboration with violinist Eddie Yeh, which ran concurrent with the release of their debut album of the same name. You’ve participated in so many festivals worldwide. How did the 2015 Taipei Fringe Festival compare? It’s very special in that it encourages the artists to utilise some extraordinary spaces that would normally not be used for performances in certain genres. I later found out that Nanhai Gallery –the space that we performed at– was an old residence for the principal of National Taipei University of Education! I also love how the venues are spread-out across Taipei; it feels like TFF is setting the city alive with these little pockets of artistic gems across town! What are your thoughts on Taipei’s arts scene? Even though I left Taiwan when I was seven, I have been back every year to visit family and for performances. In recent years, I have noticed a rise in cross-platform, collaborative, and more experimental art forms, which is really exciting. I do think Taipei is a fantastic place for artists to meet, collaborate, and create something that is truly their own; and I have been very inspired on this recent trip. How does Taiwan inspire you as an artist? I found what makes Taiwan unique is the people that I met on the trip. From the serene beauty of the mountains and countryside, the hustle of everyday life on the streets, and the metropolitan aspects of the major cities, it was the people and their stories that made the trips so memorable and inspiring. Do you think piano still has an important place in the ever-shifting music industry? I believe there is a reason that the piano has remained a popular instrument for centuries. There is nothing that speaks more directly to the soul than acoustically generated sounds. Notice how bells have been used throughout the history of humanity for religious and spiritual progressions and purposes? I don’t think any electronically generated sounds would have such impact on humanity. The instrument is here to stay for sure! VAST Production began life in New York, where core members Tammy Liu and Sammi Tai were studying dance. VAST is back in Taiwan, but their hip hop dance production is an ode to passion and energy of dance in New York. What’s ‘New York – Present’? ‘New York–Present’ is mostly about our dance troupe wanting to take the passion and emotion we had when we were learning dance in New York, back to Taipei. It’s to let our audience feel that dance is limited by neither time nor space. Is hip hop becoming more popular in Taiwan? Definitely! In recent years, hip hop in Taiwan has become more geared towards dance battles, rather than choreography-oriented productions. Dancers can now utilize their own specialized physical movements that are not necessarily related to dance, and incorporate them back into dance – making it more difficult, but also more unique than ever before. How does Taipei inspire you? When I came back to Taiwan, I realized that we actually do have a number of dancers with not only a lot of potential, but open to collaborations. Taiwan’s arts scene is still young, and naive, but it merits a lot more exploration, and it’s proven to be a great source of inspiration for me. I want to take the sense of adventure I had in New York, to here in Taipei. What’s the fundamental difference between Taipei and New York for you? New York is not just a city; it’s already like a planet. Everything is already there for the artist’s taking. For street performers, the stage is everywhere, and your audience everyone – who happily pay to watch you. Perhaps because of the nature of Asian culture being more conservative, the same does not apply in Taipei. But, there’s been a lot of progress here in Taipei; in recent years, hip hop dance has already exceeded street-level performances, to make it onto the big stage. It’s a sign that we’re beginning to attract real, passionate lovers of dance.